I got this weird bug. Sometimes, when I distribute my game, it will run normally, but some images will not be rendered, I have no idea why... Does anyone have any clues of what might be causing that? I seem to have this issue too. Though it could be that I've just started using otter and am doing it wrong. I found Eric's tutorial http://ericmbernier.tumblr.com/post/74896213201/otter-2d-top-down-adventure-tutorial-part-2 and my text and images are not showing. Looking at your Pong youtube video I can draw rectangles, so I'm not sure whats wrong. I did apply your text fix from dev but it doesn't seem to be a positioning problem. Could be an OSX thing since I did have trouble getting that running. I'll have to dig deeper and report back. So while trying to see if it was even loading the texture I decided to save out a copy to a file and notice that my texture is now rendering in-game when adding this modification to Texture.cs. 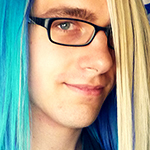 /// Load a texture from a file path. I lied. Trying more things now. It also seems to fix text rendering as well. Wow that's really interesting. I wonder if this happens in just a bare bones SFML example? If so, I think the folks at the SFML forums would love to take a look at this as well. Yeah so unfortunately CopytoImage is really intense to use in that spot, since all textures being loaded are being copied to memory which eats up ram and performance. So it looks like what might be happening is that the video card may be losing the texture binding for certain renders somehow? But that doesn't make any sense either, because if that were the case then I feel like what should be happening is that you would be seeing a bunch of colored rectangles where your textures should appear, and instead you're just getting nothing? Is that correct? Also could you guys let me know what video cards you're using that you see this problem on? Ya theres no way I want to call my problem "fixed" by using copyToImage. I was thinking the same thing that my texture was getting lost along the way somewhere. 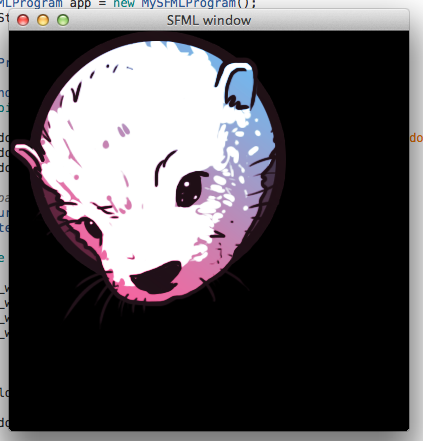 Well I am going from Otter -> SFML.Net -> Mono -> SFML, so it could be anywhere in the chain but I'm going to try a barebones SFML and SFML.net example tonight and see what happens. As for Otter, when calling texture.CopyToImage (); I see the texture and text and when I don't I see a blank screen as in still black, no funky colors or anything. I think I'm also going to try and recompile the dylibs and add in a method that just calls priv::TextureSaver save; on a texture with no other mcpy or anything and make that available to .Net. I haven't tried it on Windows since I primarily use OSX. I get get to do a SFML.net test using the same DLL's and DYLIB's and got a texture to render. So I don't think theres a problem with the the dll or the c++ implementation because a couple of months ago I did a couple of SFML projects and those rendered fine. From at least this basic test I can say that SFML.net works when trying to load a basic texture. 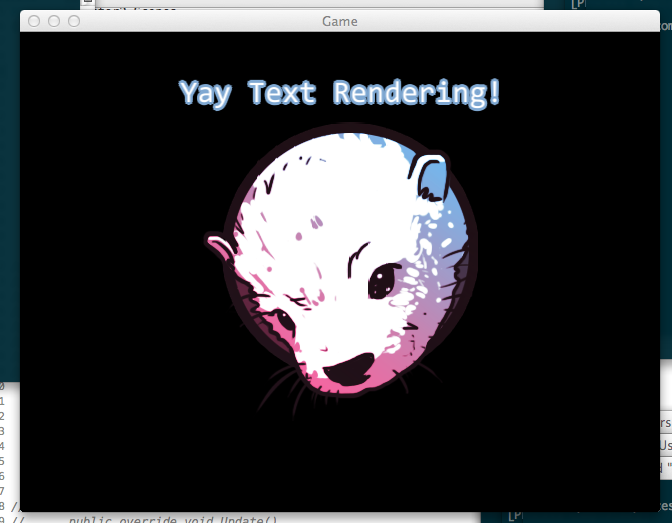 Maybe theres something in the way Otter is prepping the texture for display that OSX doesn't like? I'll poke around a little more to see if I can get this thing going, I'd really like to use it. I did a little debugging and noticed that right before the renderstate gets passed to the dll the shader is null. Is there supposed to be a default shader? Especially if the blend mode is set to alpha? The texture (Otter.Graphic) does have pixels in it by the way and they are not set to alpha 0. So I just realized that until now I've been building in "Release" mode instead of "Debug". In debug everything works as expected but switch that to release and no textures. Just like saint11 stated in the beginning of this thread. This is with without including my CopyImage hack in Texture.cs. I don't think Shader being null is an issue, I believe SFML uses its default shader in that case? I can look into it though. It's really weird that it would work in debug, but not release... also some things to consider: SFML doesn't require power of 2 textures and that might freak out some video cards, maybe? 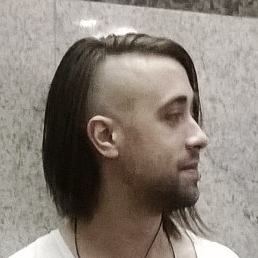 Also, I wonder if it's the RenderTexture that is having problems and not all textures. Can you do a test of a RenderTexture in your bare bones SFML program? One difference between debug and release is the console: Debugger.cs. It's not available in release mode unless a specific flag is set to true (I think Game.ForceDebugger() has to be called before Game.Start() to get a console in release mode.) I'm not sure if that could possibly effect anything though. So the debugger seems be the culprit. When in "Debug" mode with the debugger = null my textures aren't drawn. I'm still looking as to why this is. There may be some accidental dependency. In "Release" mode with ForceDebugger on the textures render fine. 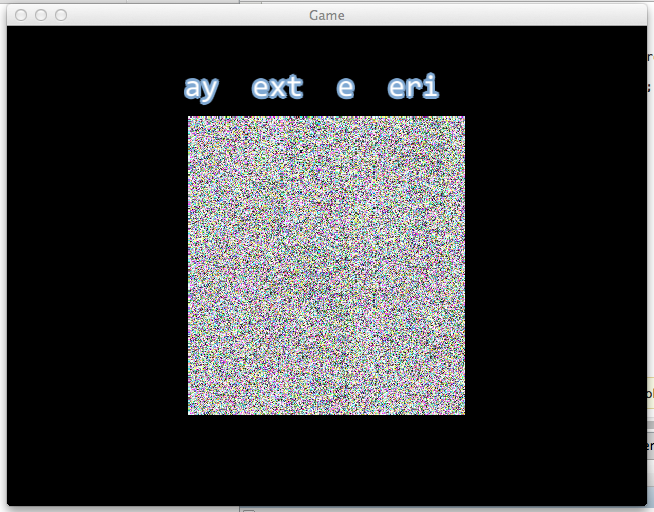 In debug mode with the debugger on and the rendering loop commented out this happens when the console is not up. Still need some searching needed to see where the connection is. Another thought, the debugger may be slowing it down enough to fix some race condition. That could be why sometimes for others it works in release. Hahah what is going on in that screenshot! It looks like for the text that the font texture is not being properly built, and the otter texture just seems to be garbage data being fed into a texture somehow?